Heart of Crown PC & Card Game Bundle Now Available for Pre-Order! 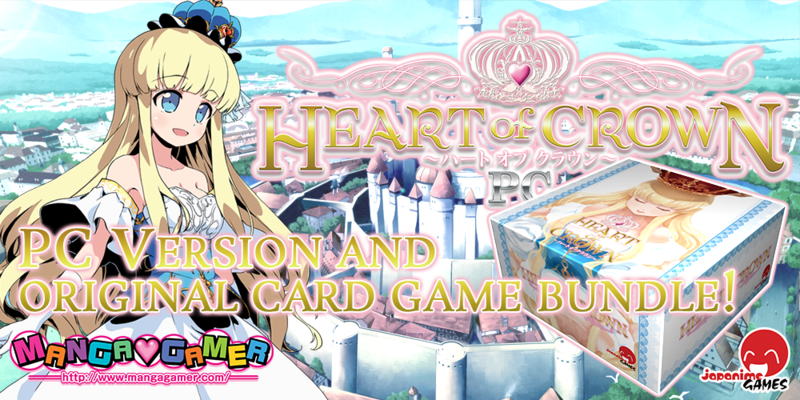 The original card game and PC version of Heart of Crown are now available in one, complete bundle! Ships on January 19th! The Emperor has suddenly passed away, leaving seven heirs to the royal throne. Which princess will you promote in this battle of succession? Who will save the land from chaos and a war from the Crown?! 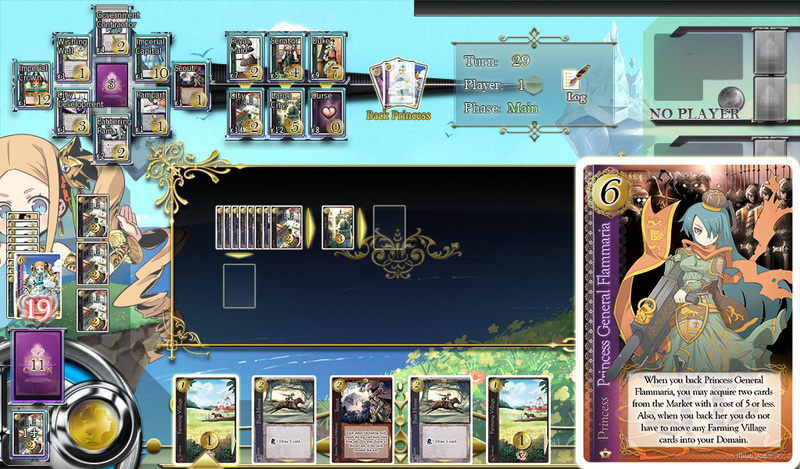 Heart of Crown is easy to pick up but difficult to master. Sharpen your skills, dominate your opponents, and make sure your princess succeeds to the throne! 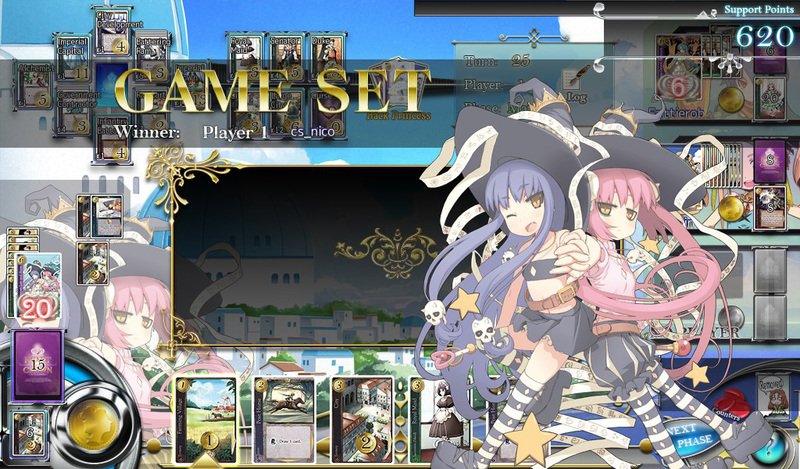 Deck-building card game: Show off your skills on a level playing field. 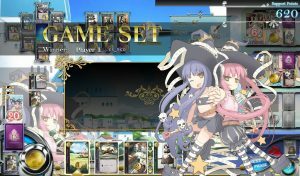 Seven unique Princesses to adapt to any playstyle. Online play: Battle up to four opponents (human or CPU) at a time! Ranked Matching allows you fight for your place on the online leader boards! 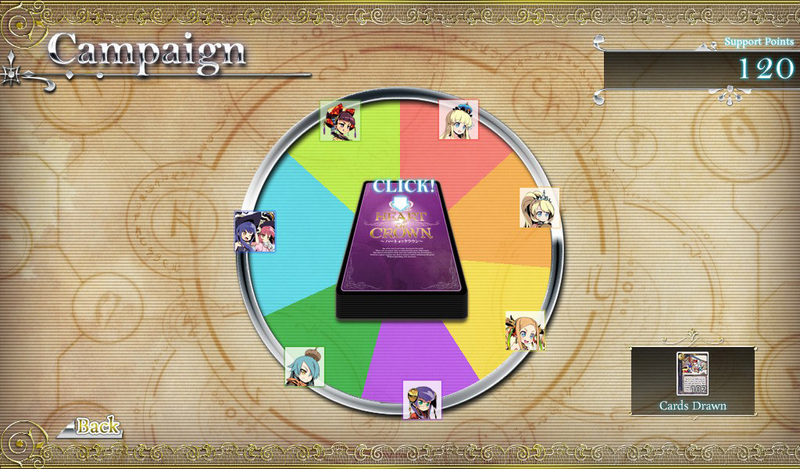 Earn points to unlock campaign stories and delve deeper into the world and story of Heart of Crown! Tagged culture select, heart of crown, JapanimeGames, MangaGamer. « Imouto Paradise 2 On Sale Now! It’s a great game, but perhaps this pre-order comes a bit late considering the PC version released at steam last month, the 13th of December. 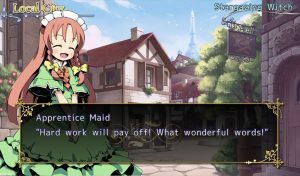 I for one ended up purchasing the PC version at release, and a week later I decided to purchase the original game as well. My point is that you’ll lose customers if you don’t let your potential customers know of your upcoming deals beforehand.